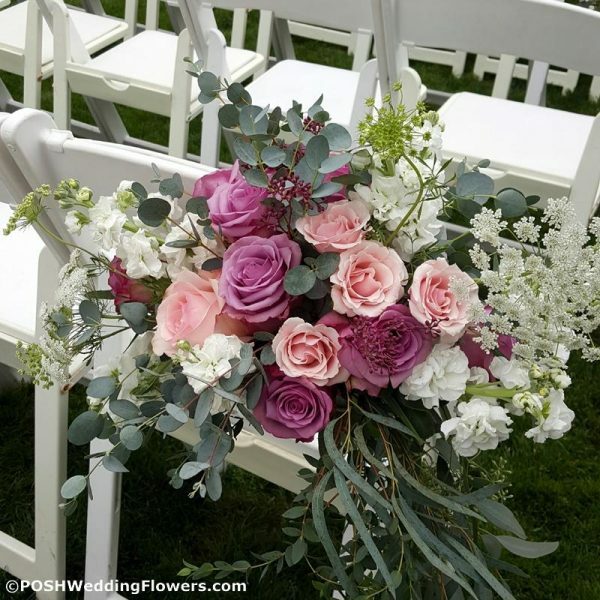 Wild & free Garden Style – a dozen roses, hydrangea, & mixed silvery eucalyptus foliages in a 7″ Julep cup vase. 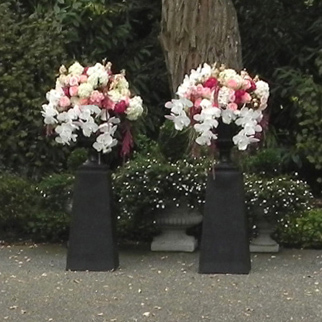 Will be created in your color palette, and in flower types consistent with the rest of your wedding. 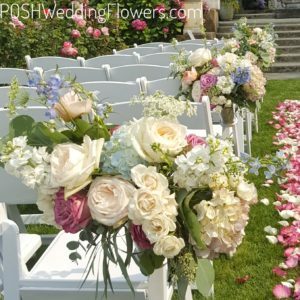 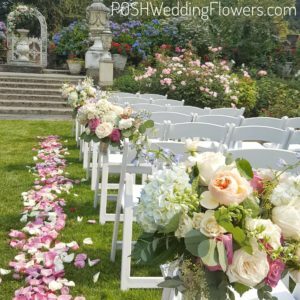 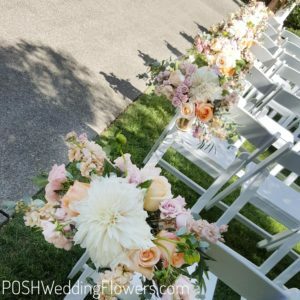 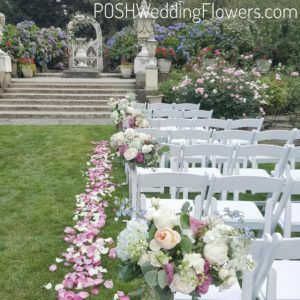 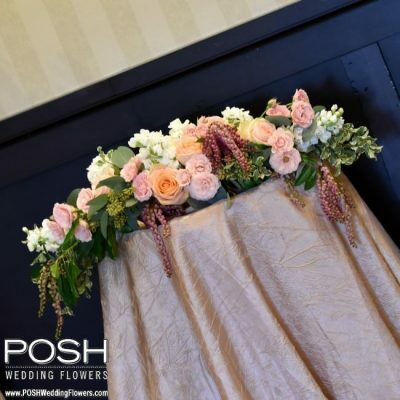 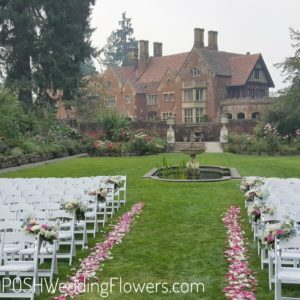 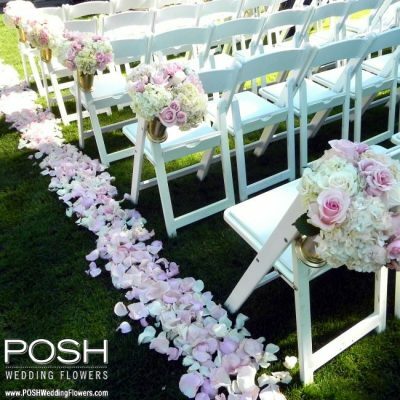 These are “Double Duty” arrangements – easily clipped onto your chairs as aisle bouquets, then after the ceremony just remove the clip and place on your tables.